There should be a constant tension: a communicator enjoys talking and pushing information, but an effective communicator must listen more than they talk. See, to truly engage with an audience, it has to be a conversation. And there’s nothing worse than a one-sided conversation! The struggle often comes when a communicator feels they’re being paid to push communications, and there’s limited time for that; so how can anyone actually have time to listen? A good conversation requires talkers and listeners. 1. When something’s added to your calendar. 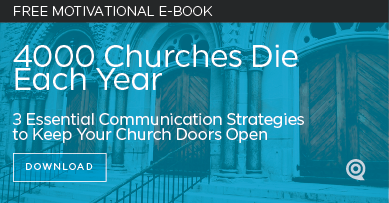 A good church communication process starts with a solid communication calendar. That easy place where all ministries can add their events in advance. In fact, they should add their events as soon as they start considering the planning of them. When there’s an addition, you need to plan a brief meeting with the leadership to listen to their goals, vision, and expectations. What exactly would the “win” be? This isn’t the time to caution them or tell them what you can’t do for them. Instead, encourage them to do better ministry as you advocate for their audience. Ask them how you can help them. 2. Any time you’re near your community or congregation. Often, we have so many responsibilities during our services or special events that it’s hard to slow down for listening. But it should be a privilege to have your audience near you. Take the opportunity to ask questions and listen for their answers. Do they have ongoing concerns? Questions? Looking for anything you’re not delivering? You may be able to solve them instantly or you may have to research an answer. Since you need to constantly have them in your mind as you plan ministry events, this is your time to soak in who they are, what they’re looking for, and how they feel a disconnect. Often you’ll hear themes that can be solved at a higher level. 3. After a ministry event. When something is fresh in everyone’s mind, like right after an event, you need to ask questions. How can we do better next time? Did we meet your expectations? What response did everyone feel? Take excellent notes and file them in a place that allows you to plan better next time. Bring them out during the initial planning meeting and remind everyone of specific issues. You’ll be valued for that information! Don’t be quick to defend yourself or your team; listen, have empathy, and clarify. Listen for questions directed at you before you start explaining. 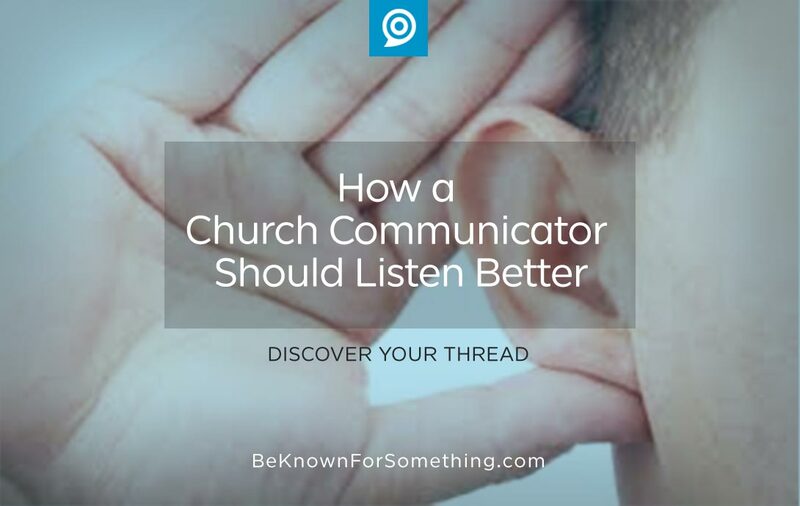 Your communication role is to promote engagement (within leadership, your congregation, and your community) and to understand all your audiences well enough so that you can quickly make decisions when the time requires it. Today, listen more. Listen better.